When Emily Walker was chosen to take over the daycare center she worked at by its retiring founder, she knew exactly what she was going to do first: replace the center’s current non slip flooring. At first the tile they were using had seemed like an okay choice, but after only a couple of years it started chipping, cracking and peeling. Emily couldn’t believe it would wear down this fast, after all the money they’d spent on it! Now the damage made it a nasty trap for hazardous juice spills, bugs, and bacteria, and Emily knew it was time for a change. Emily knew that the challenge for finding the right non slip flooring surface for any business, including her daycare, is that there are so many different needs to take into account. Sure, she needed non slip flooring to prevent falls and other accidents, but there was so much more to think about! 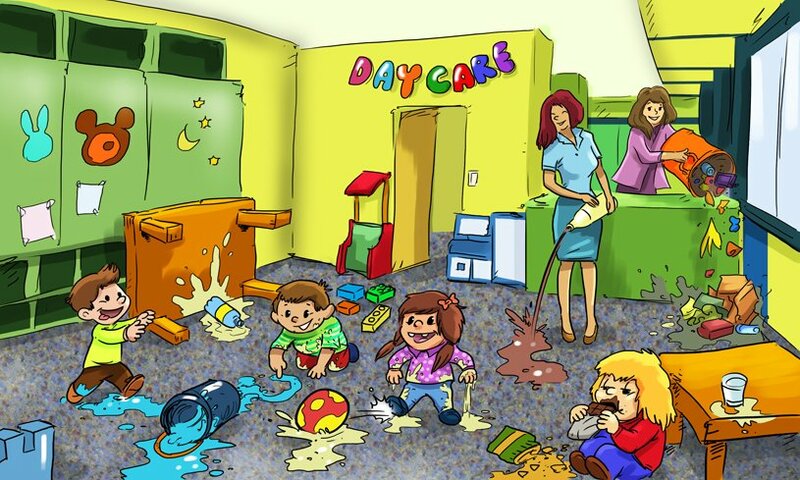 Parents dropping off and picking up their kids would want to see something that looked professional and safe; the kids like bright, pretty colors to look at while they play; and there was the spread of germs to worry about as kids sit together and play together on the floor. Emily was also concerned about preventing bug infestations—insects like spiders can hide in cracks and crevices and potentially end up biting children. And of course she didn’t want to go through this entire process again in just 2-3 years! This time, she needed non slip flooring that was built to last. Then, one of the parents recommended Everlast Floor. It sounded intriguing, and the next day, Emily requested a brochure online. She couldn’t believe it—it was everything she was looking for! For starters, it was slip-resistant…but Everlast Floor also offered so much more. Once installed (a quick and easy process), Everlast Floor would provide a totally seamless surface. That meant there would be absolutely nowhere for harmful insects to hide—a huge plus. Besides being a non slip flooring, Everlast Floor was also non porous, so spills or other messes could be cleaned up in a jiffy—and Emily knew there would be plenty of those! Everlast Floor contained an antimicrobial component, which meant that illnesses wouldn’t be able to spread as easily amongst the kids. And it was environmentally friendly, too—which she knew the parents would love. Not only did Emily decide to go with Everlast Floor, she even had a custom design created to include her daycare’s logo, all in beautiful vibrant colors that kids and parents were both crazy about. As far as the little ones were concerned, Everlast Floor truly transformed Emily’s daycare into a home away from home. And as far as Emily was concerned, she now owned the world’s greatest business. Call Everlast Epoxy at (800) 708-9870 or click here to get your Everlast Epoxy non slip flooring.